If you’re looking for an auto mechanic, Guildford and surrounding areas such as Merrylands, Greystanes and Fairfield can benefit from the services of Omega Automotive! We service a number of popular automobile brands with complete and thorough services to ensure a smooth, safe drive. Regular check-up or something more specific, there is no car service we can’t do! We have some of the best mechanics working to ensure your car is serviced to nothing less than the gold standard. With their knowledge and experience in our amazing workshop, we’re absolutely certain that you won’t find a better car mechanic in Woodpark, Greystanes or Smithfield than ours. Whether you’ve been looking for car air conditioning in Guildford, logbook service in Fairfield or any other car service in Fairfield, Omega Automotive are the team to count on. All of our services are performed to the best possible quality – anything from new hoses to battery replacements! Spare parts, components and all other necessary tools used for services are original and purchased from Australia’s best brands. Trust us to treat your pride and joy with the same great care you do yourself. 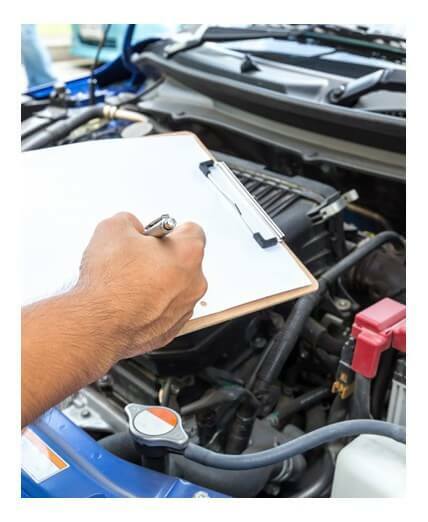 If you are searching for auto mechanics in Merrylands who really care, then you can be sure your car is safe in the hands of the team at Omega Automotive. We inspect and sort out problems using state-of-the-art repair equipment and analytical strategies. We will fine tune your custom vehicle, or keep the family car running safely, smoothly, and reliably for many years to come. For the best quality local mechanics, Greystanes and Fairfield locals know to call Omega Automotive! We will give your car a completely professional service so it rolls out of our workshop as it would a branded dealership, and all of this from your friendly local mechanic. Yennora locals can have peace of mind, knowing we use 100% authentic genuine parts and never cut corners when it comes to servicing the vehicles of our clients. Give your vehicle the luxury treatment it deserves with a service performed by the highly trained mechanics Smithfield residents can rely on. Thousands of clients have praised our work, and we’re absolutely sure you will as well.